Kinda what I’m doing right now… Plug to articles that would be interesting to your audience. Is your company real? Show pictures of your employees, events, etc. No ghosts allowed here. 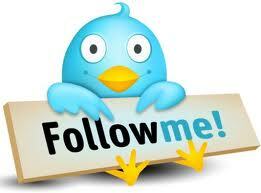 Provide a promotion or special deal only to your Twitter followers – I LOVE me some deals – what about you? Tweet about the great things you are doing with a local/national charity or pick a random one and promote it with a tweet! Pay attn to what your followers are saying about you (retweets, replies, etc.) and respond. Sometimes you can catch things that would have caused you PR problems if you left them and of course anytime you can keep a positive conversation going – heyo! Always good! So if you are an expert or (say you are) and you want to share some words of knowledge/wisdom about a topic – Shout it from the mountaintops! …or tweet it. It’s up to you. If you were super awesome and won some special award, don’t hold it in… that’s not good for you. Share it! I like how Jon said this, so I’ll direct quote him, “While Twitter is a fantastic place to do business, the compelling thing about it is that it’s not all business. If visitors think you are just trying to sell them all the time, they will unfollow you or, worse, complain about you on Twitter. There’s a lot of funny content on the Web, whether it’s on YouTube, in The Onion, or on any number of humor sites. Sharing humor with your target audience (via links) not only humanizes your company, it gives your followers a reason to seek you out.” Word Jon! If you are leading in the industry or have some cool breakthrough to share, provide links to studies, trends, whitepapers, exciting news… It is great content and shows that you are seriously on top of the ball!